Tired of the political backstabbing you see in the news and on tv? 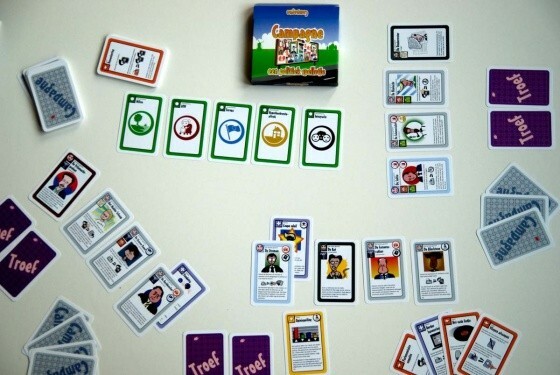 In this game of cards, you start your own political party with the goal to get as many seats in the upcoming elections as possible. But watch out: The Hague is a snake pit. Opposition parties try to smear you and before you know it, your poll ratings drop. There’s only one solution: to fight back! 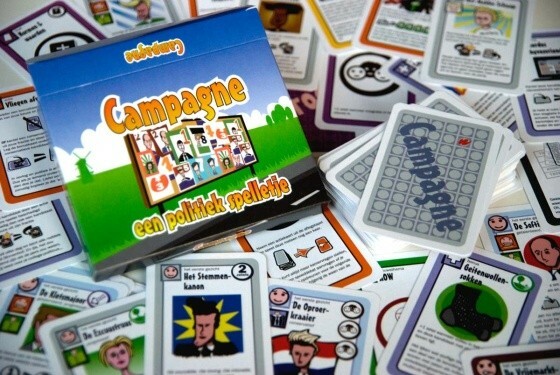 Campagne – a political game or… bullying for grown-ups.